A plain blank wall is nothing but an open canvas to reflect your thoughts and ideas. From eclectic wallpapers to elaborate showpieces, there are multitudes of ways in which you can deck up an empty space, and a heart-warming photo gallery is easily your best bet. Displaying your special moments and putting up happy faces that mean the world to you will instantly uplift the ambiance of your home and make it more welcoming and adorable. 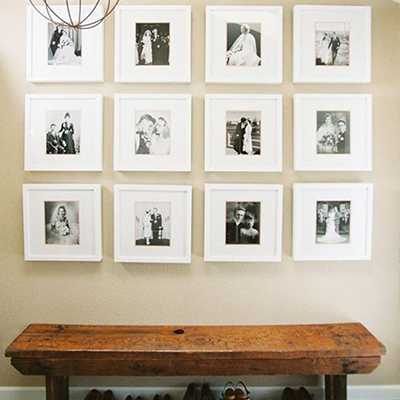 Here’s all you need to know to make a photo gallery wall and spruce up your interiors. 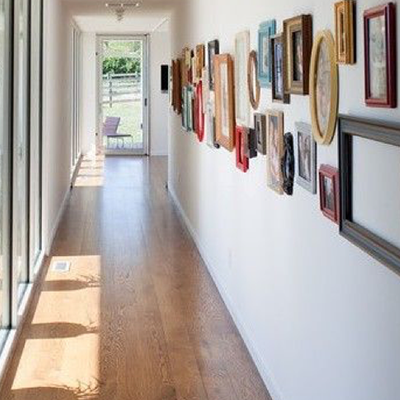 The area where you are planning to put up a photo gallery plays a huge role in adding that extra elegance to your home. Opt for an open wall in one of the most used spaces of your apartment like the hallway or stairs. You can also experiment with off-beat places like your balcony sit-out or the wall of a slanting roof. The idea is for it to be visible to both the inmates of the house as well as the occasional guests who drop in for a quick cup of coffee. When it comes to deciding the theme of your home photo gallery, the world is your oyster. Choose from classic themes like black-and-white images, exclusive portraits or group pictures. You can also mix it up and opt for different themes to make the space more fun and lively. Remember, it does not all have to be pictures. Throw in a surprise element by including paintings, mirrors, inspirational quotes or even beautifully carved plates and leave your visitors spellbound. It is always a good idea to think of the placement of the images and have a rough layout in mind before putting the pictures up. You can either opt for images of different sizes and place them in a haphazard manner or go in for pictures neatly lined up in a minimalistic pattern. One interesting method is to place the biggest picture in the centre with smaller images surrounding it. 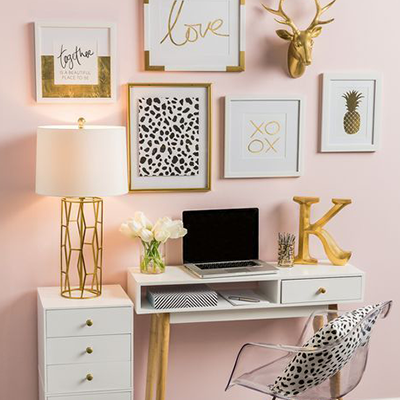 While you are at it, do not forget to get creative and jazz it up with photo frames of different designs and textures. Another important element that plays a vital role in bringing the whole gallery together is the background. If you are putting up a lot of pictures on a single wall, it is good to keep the background plain and simple. However, if you are putting up just a few photos, you can experiment with the wall to draw more attention to the gallery. You can change the shade of paint or opt for contrasting wallpaper. You can also consider using wall stickers that play around with the concept of your gallery. 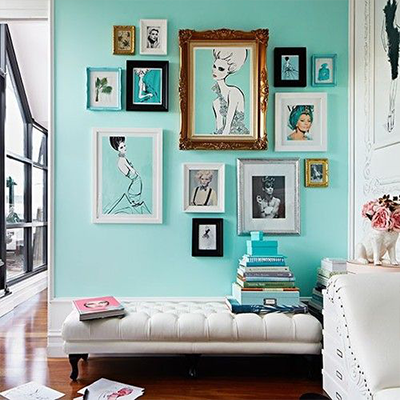 Make sure you place your images in the right spots of the wall to instantly add drama and oomph to the room. For example, if you are planning to place the pictures in a hallway, place the pictures in a straight line right at eye level. On the contrary, if the photo gallery is on one of the walls of your living room, try using up the entire wall from roof to floor to liven up space and intrigue your guests. With these tips and suggestions, there is no doubt your photo gallery will be a stellar DIY masterpiece. It is time you add this project to your home décor and renovation ideas to instantly elevate the ambiance of your home. If you are planning to invest in real estate, make sure you check out our blogs on top tips to apply for a home loan and 6 steps to speed up the process of buying your first home for a better insight. Head out to Lancor today and find your dream home.